New equipment should be mastered. So before I go on an Oriental cruise, I had to learn a lot of things about my new Nikon D500. Also a little practice with the quick assembly and dismantling of the new tripod should still be included, so that the use in the wild does not take too long. A trip to the Kleinenbremen visitor mine seemed to be a great way to do this. A brief look at Instagram promised exciting motifs. I had already visited this place as a child, but could hardly remember it. 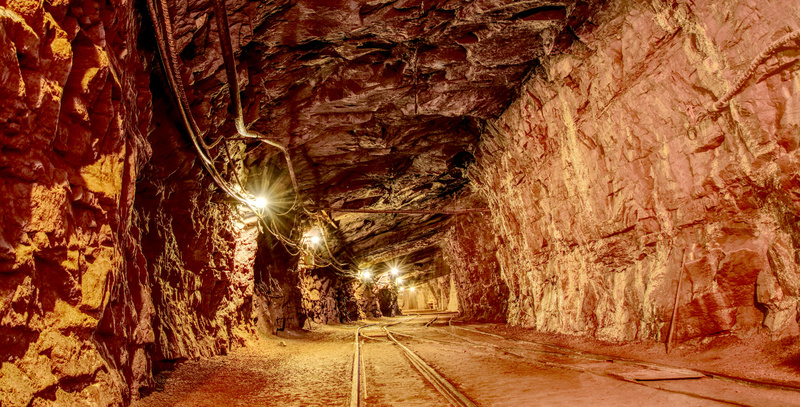 The Kleinenbremen visitor mine offers the best conditions for taking photographs under adverse conditions, not only because of the rugged environment, the temperatures and the wetness, but also because of the guided tour. Here it is important to be quick. 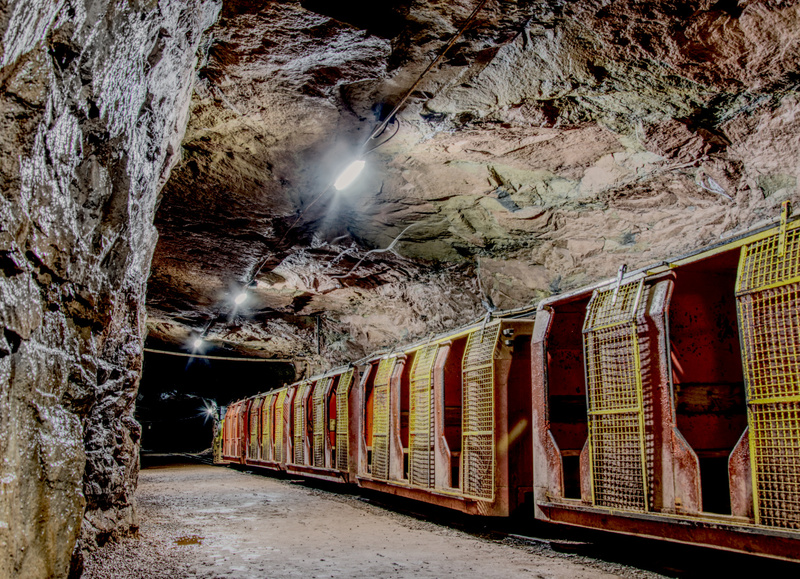 Set up, align the camera, adjust the camera, start the HDR-series and the miner screams "Come on, you have to stay tuned in, don't fall behind". Thirty people turn to me. Yeah, all right. I'm coming already. Under ISO 400, nothing works here today, any lower ISO value would increase the exposure times within the HDR range excessively and I would get shouted at again. Of course I know the tour only takes 1 1/2 hours and you can't wait for any hobby photographer. But it is this circumstance that trains best to be quick. Anyway, there should be guided tours for photographers only. Maybe at more expensive rates, but with fewer participants and more time for the different scenes. A small train takes you deeper underground into the mountain. The small 4-seater cabins in the train are actually made for hobbits. In any case, of my kind, no 4 persons will fit into the small gondola - only in pieces. Thank God I folded the tripod to a minimum in no time at all. 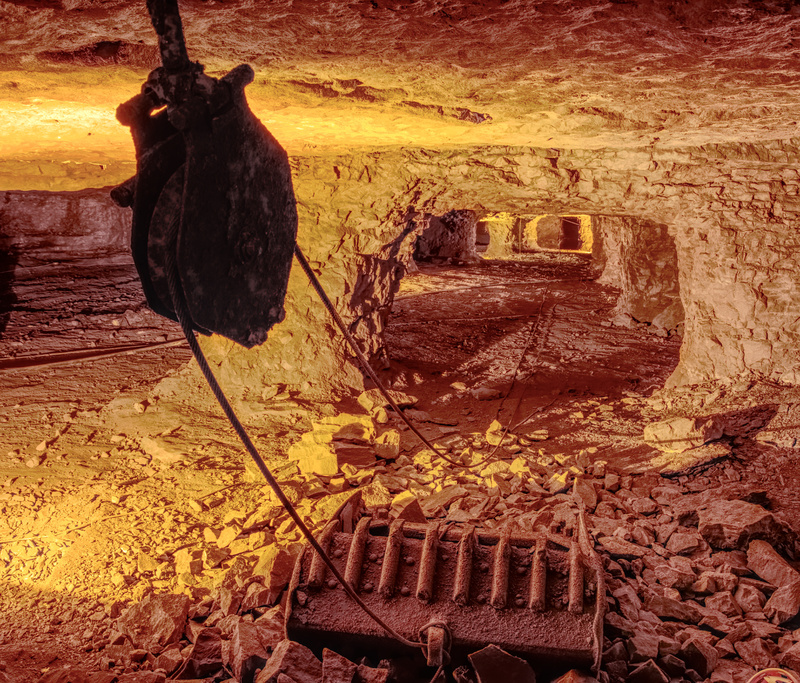 Not to imagine what would have happened, the miner would have had to wait 10 seconds for the descent, because I would have had to fold two tripod legs. Nevertheless, the whole trip was a lot of fun and I can only recommend it to every ambitious photographer. Take a light and small travel tripod with you, because otherwise you can give up in difficult lighting conditions without a tripod. For my part, I rely on my only 980 gr. heavy Rollei Traveller No. 1 Carbon (Amazon-Affiliate-Link). Be sure to use RAW file formats for fine-tuning the white balance, especially if you want to work with exposure bracketing, like me, and for general exposure compensation. It is advisable to stay at the end of the group of visitors as a photographer. This gives you more time to take your picture and prevents other visitors from walking through the picture and destroying your pictures with a flashing mobile phone light. Bring wipes for your camera and lenses. Otherwise, dripping water from the gallery ceiling can quickly interfere with photo fun. I am aware that not everyone has a technical understanding of photography and I can't expect that. But actually, after the third photo with the iPhone LED flash in the 800 meters long, dark tunnel, the last one might have noticed that this kind of thing doesn't work. And if you don't understand why, then at least after looking at the result, you should check this matter out for yourself. Far from it. Let's try eight more flash photos. At least no one photographed with iPad. The Kleinenbremen visitor mine is closed on Mondays and Fridays. From 1 March to 30 November, entrances will take place on Tuesday, Wednesday, Thursday, Saturday and Sunday at 11:30 a. m., 1:00 p. m. and 2:30 p. m.
On the NRW public holidays there are also entrances (November 2017). 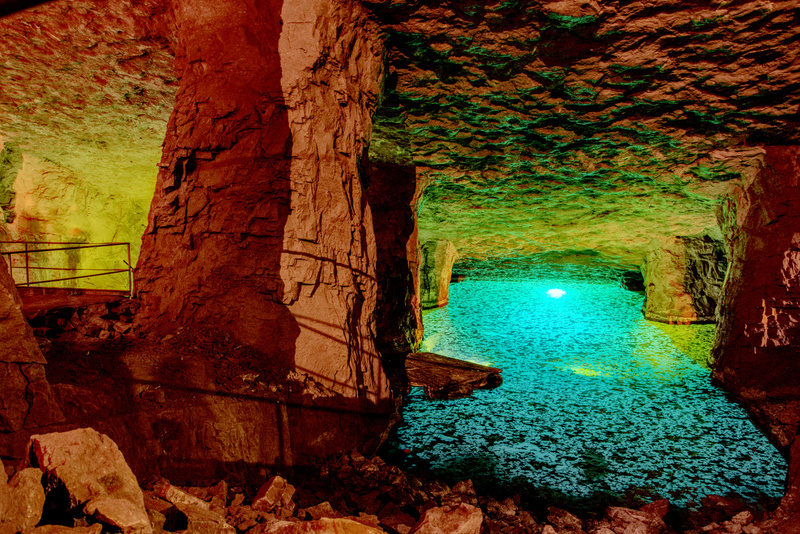 Additional information: The visitor mine in Kleinenbremen in Porta Westfalica is ideal for a small photo excursion. I used a November day for an underground tour. So I was able to test my new photo equipment and internalize the operation of my new camera. The girlfriend was also happy. We had already had the mine on our list of activities for quite some time. Lucky up!